Industrial Roof Coatings | Roof Protect | Australia's Best Roof Paint. WE DELIVER A FIRST CLASS SOLUTION. Only the highest quality materials are used to manufacture the Industrial Roof Coatings range. That’s what puts us above the rest. When using one of our products, you can rest assured knowing you are protected by the best roof paint on the market. Industrial Roof Coatings formulate, test and develop the highest quality wholesale roofing products to address all aspects of roof restoration and protection. Our roof paint manufacturing process is first class in our industry. All of our formulations have been thoroughly tested. Each batch goes through the same stringent quality assurance procedure. Our range has been tested and developed over a 30 year period. Our roof paint range has been fine-tuned to produce the thickest roof membrane with the glossiest finish on the market. We stock a range of roofing products available for purchase through our online store. Set up an account today. Our roof paint is locally made using the best quality raw materials. Prior to shipping, each batch is tested to make sure the roof membrane quality is consistent. With Over 40 years of experience manufacturing roof coatings, we’re leading the field in the roof paint industry. Based in Gold Coast, QLD, we have grown to supply our first class, locally made roof membrane nationally. Starting with the Principal, each member of our local team come from a strong manufacturing background. Our Technical Manager has more than 30 years manufacturing roof paint, including roof membrane products. This amazing 15 year product warranty is only available when you use on of our accredited applicators. 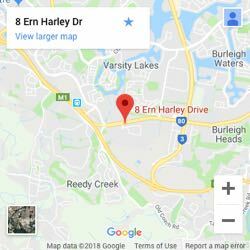 Call us on 1300 241 858 to find an accredited applicator in your area. Every Roof Protect product is manufactured with the highest quality materials and tested for quality assurance. So you can have complete confidence that your roof is protected by the best when using our roof paint for roof restoration. When is the best time of year to restore my roof? Roof restoration can be undertaken any time of year. Whether you’re looking to restore your roof in summer, winter, or anytime in between, our Roof Protect solutions will deliver the highest quality finish. Can I paint my roof myself or should I use a professional? It can be dangerous and requires the use of safety equipment and protective wear. If not experienced it may be hard to detect issues that may prevent the effective application of Roof Protect solutions. How do you guarantee your products? Our process of formulating, then testing and developing, ensures the quality of every Roof Protect product manufactured is of the highest possible standard. This is why we offer an extensive 10 year warranty for our 3 coat Roof Protect system. 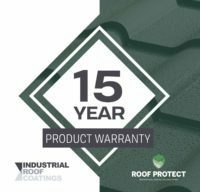 We also offer a 12 year warranty for our 4 coat Roof Protect system. Both of these warranties are only available to approved applicators. How can Wall Protect be applied? Wall Protect products can be applied by brush, roller or spray gun. What makes Wall Protect a better choice than other wall paints? Wall Protect has great washability to help remove any accidental stains whilst maintaining its durability and providing a premium finish.